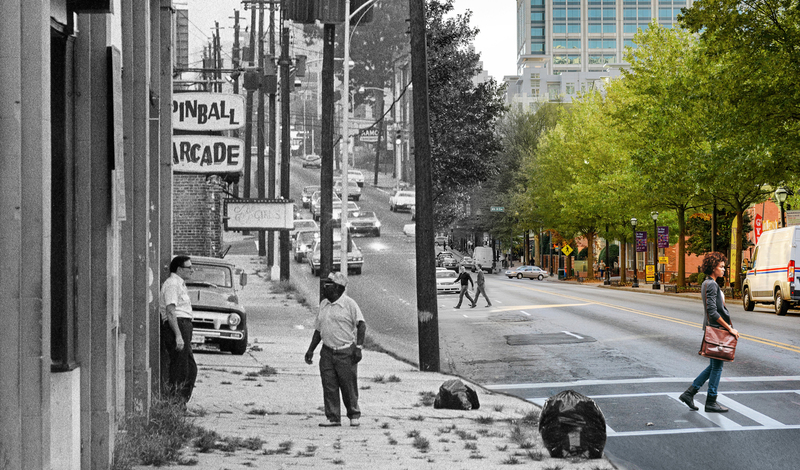 Image mashup created to show the stark difference between Midtown Atlanta in the 1970s and modern day. 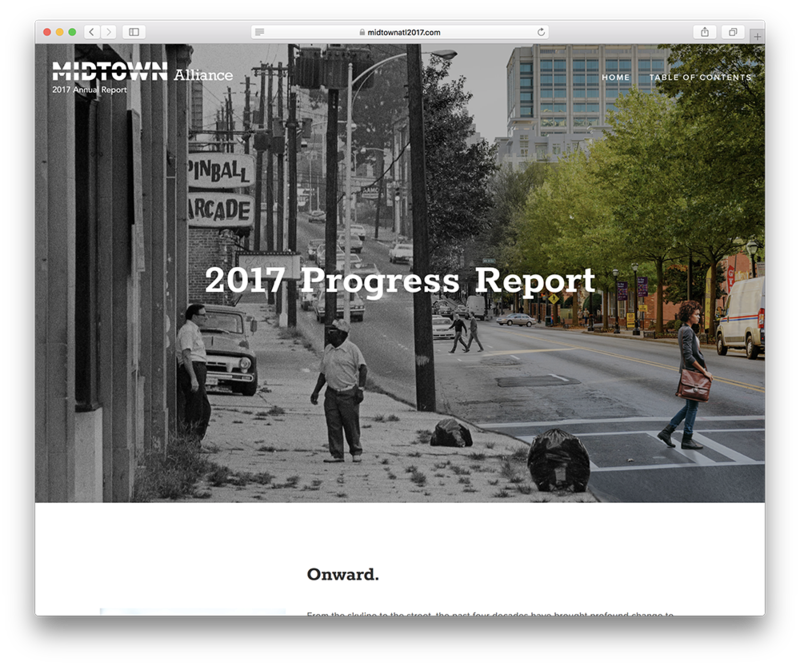 For the second time, I worked with the awesome team at Midtown Alliance to craft a unique event experience for their 2017 Annual Meeting. We produced a timeline exhibit showing the neighborhood through the ages, a folded mailer, and the second edition of the annual progress report. There were so many historical photos in the progress report, we introduced an interactive slider to let viewers toggle back and forth through history.